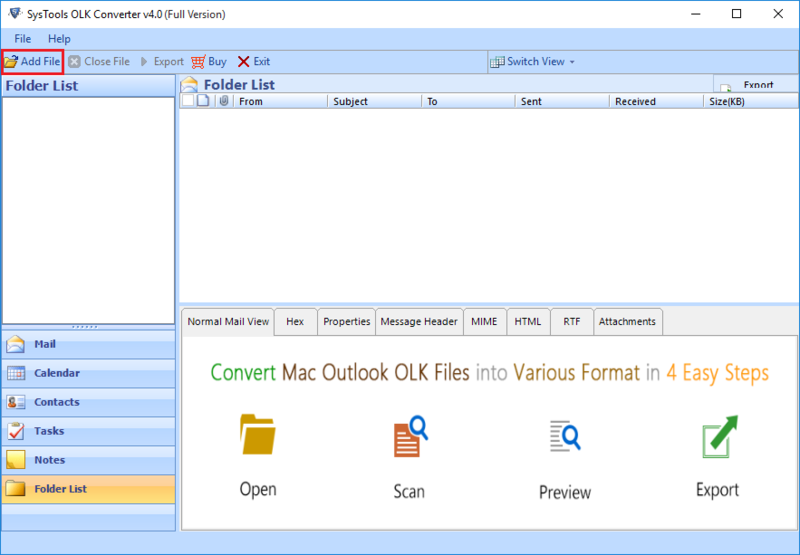 OLK Extractor Pro proffers the ease to extract the backend files of Mac OLK like Olk14contact, Olk14MsgSource, Olk14message, Olk14MsgAttach. OLK File Extractor Pro provides the option to add the multiple OLK files for extraction of data. 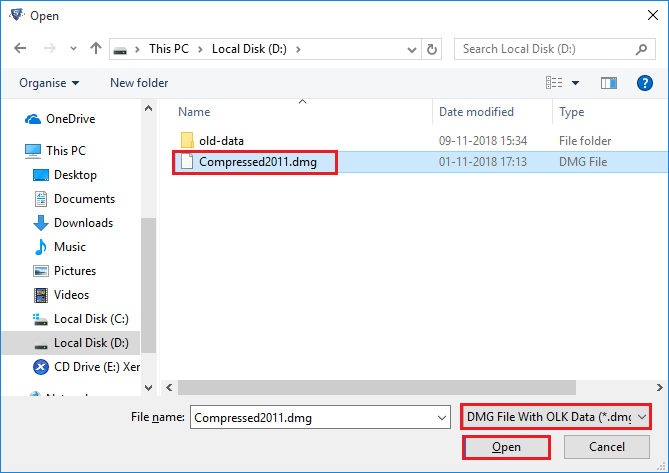 Use "Add Folder" option to add OLK files in bulk (Keep the OLK files in a single folder and add folder instead of file). 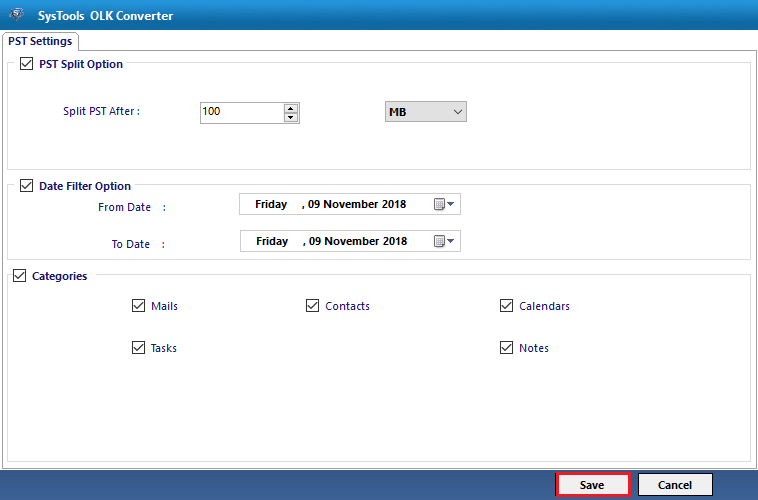 While extracting the data out of OLK file then before saving that, the software application offers the option to put naming conventions on the basis of date, subject etc. If you are need of the data of a particular date range. Then, There is no need to waste your time in processing the whole data. 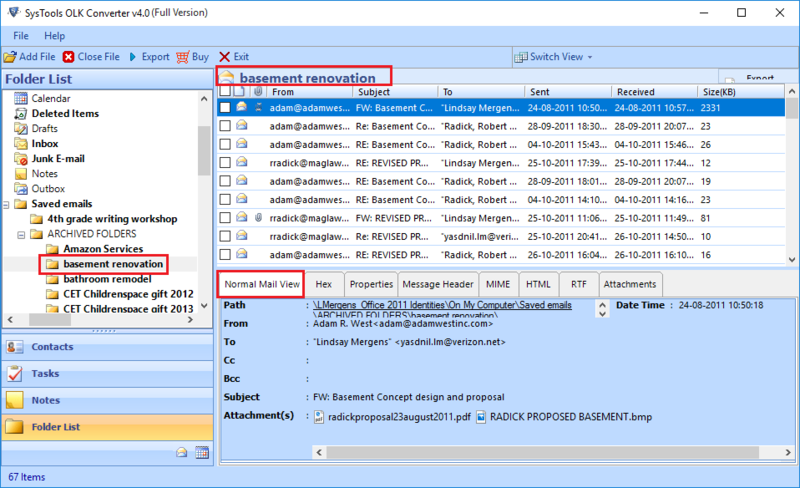 OLK Extractor Pro facilitates with the option to put date filters. In case you want to extract the selective data from the Mac OLK file. Then, you need to enable the checkboxes to select the data you want to extract. There is no need to go for whole data if you need some particular data. Step 1: Start OLK Extractor Pro. Step 2: Browse for the file or folder, You want to extract data from. Click Open. 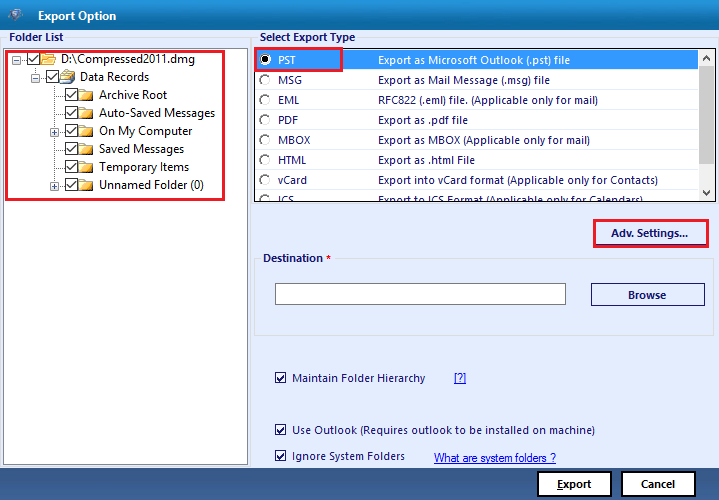 Step 3: Select the option of File or Folder as per your requirement. Step 4: Preview the emails and attachments before extraction. Step 5: Select the file format you want the data extract into. Step 6: Apply date filters and categories. Step 7: You will get the notification after the completion of process. The software is only compatible with Windows OS. What is the limitation regarding the size of Mac OLK file? There is no restriction for the size of OLK file. I am working on Windows 10. Is it possible to use this tool? The software is runnable on Windows 10 and below versions. I do not know that it is not possible to extract data directly from OLK file of Mac Outlook. Overall, I was not able to find a way to do the same. 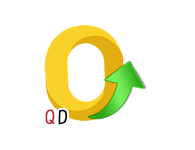 Then, I came to know about QuickData OLK Extractor Pro, did my work in no time. Thank you so much guys. I had an OLK file containing precious data of my workplace. As it is not possible to take out the data directly from OLK file , I was looking for a software application to help me out. QuickData OLK File Extractor Pro did a great job for me. Thanks alot.